Associate Professor Santosh is a Principal Research Fellow at Centre for Social Impact Swinburne, Swinburne University of Technology, Melbourne, Australia. Prior to this, she had worked at Deakin University (Australia), University of Otago, (New Zealand) and National University of Singapore. She also currently holds an honorary senior research fellow position at the University of Otago and a conjoint appointment at Deakin University. She is Editor-in-Chief, Journal of Population Research, the main journal of Population Association of Australia and published by Springer. She is a demographer and social epidemiologist with particular research interest in the field of gender, migrant health, ageing and health, primary health care, and health inequalities. Santosh holds a PhD in Demography from the Australian National University and a postgraduate diploma in Public Health (DPH) from the University of Otago. Santosh has won many competitive research grants as Principal Investigator (PI) or Co-PI and published numerous academic articles in international peer reviewed reputed journals such as Social Science and Medicine, International Journal of Epidemiology, Demography, British Medical Journal (Open), Journal of Epidemiology and Community Health, PLoS One, Preventive Medicine, Journal of Clinical Epidemiology, Health Policy, the Australian and New Zealand Journal of Public Health, International Sociology and Journal of Sociology. 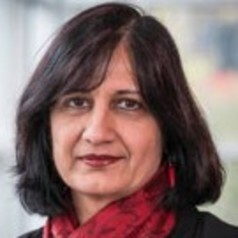 She is also the primary editor of a book entitled Migration and Health in Asia published by Routledge, London and co-editor of Working Women in Metro Cities in India published by Cambridge University Press, New Delhi, India. Santosh has undertaken collaborative research work with academics from the Australia, India, Israel, New Zealand, Singapore, UK, and USA. She is the sole PI on a current ARC-Discovery (Australian Research Council-DP) project ‘investigating the dynamics of migration and health in Australia: A Longitudinal Study’. In 2012, she was awarded a prestigious fellowship from the Australian Academy of Science for her project on migration of health professionals from India.